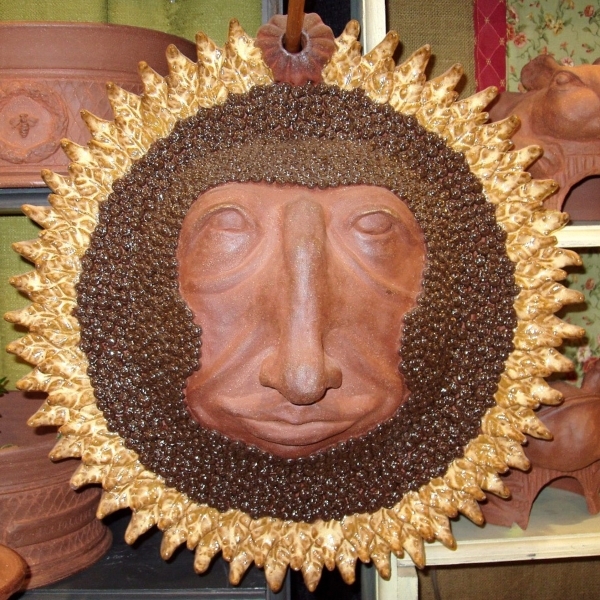 Enjoy the year round cheerfulness this happy face will bring to the walls of your home or garden. 20 inches round. 12 lbs. Central top hole for hanging. $395….